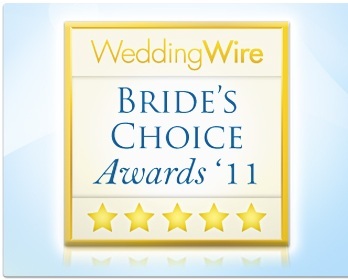 Sisters Flowers has been selected to receive the annual Wedding Wire Bride’s Choice Awards 2011 for Flowers and Decor! Recognition for the Bride’s Choice Awards 2011 is determined by recent reviews and extensive surveys from Wedding Wire newlyweds. Our past clients are among those that shared their experiences on Wedding Wire. Sisters Flowers stands among the top five percent of wedding professionals in the Wedding Wire community, representing quality and service excellence within the wedding industry. Awards were given to the top wedding professionals across 20 service categories and were based on the overall professional achievements throughout the past year. To see Sisters Flowers honored on the Wedding Wire website, go to http://www.weddingwire.com/ and click on the Bride’s Choice Awards icon on the page.